If you are looking for some admission ticket, entrance ticket or movie ticket style Halloween party invitations, with our handpicked "ticket" Halloween party announcements, look no further. Choose and design your own Halloween party invitations with these "easy to customize" templates! No minimum order required and bulk discounts apply! 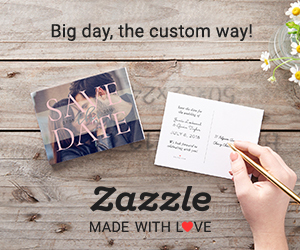 Check out our latest, handpicked selection of top 20 popular Autumn / Fall wedding engagement party announcements, which you can easily personalize in minutes. Choose from over 20 paper types and sizes. Announce your Halloween masquerade party in style with these "easy to personalize" dark and sophisticated, Halloween masquerade party invites. Looking for some elegant & classy Autumn / Fall wedding rehearsal dinner announcements? Then check out our handpicked selection of 20 most popular Autumn / Fall wedding rehearsal dinner invitation templates for all gusts to enjoy. No minimum order and you can start saving money if you order 25 or more cards!